This book captures concepts and projects that reshape the discipline of architecture by prioritizing people over buildings. In doing so, it uncovers sophisticated approaches that go beyond standard architectural protocols to explore experience-based aesthetics, encounters, action-based research, critical practices and social engagement. If these are widely understood as singular or incompatible approaches, the book reveals that they form a growing network of interrelations and generate levels of flexibility and dynamism that are reshaping the discipline. The thirteen chapters analyze thought-provoking projects – branded museums, restaged exhibitions, home/work spaces, multi-cultural spaces, ageing apartment blocks, abandoned homes, and urban slums amongst them. Together, they enliven the stalled debate about a single architectural response to the complex challenges of the contemporary world by highlighting pluralistic perspectives on architecture that offer fresh solutions on how architecture can improve people’s lives. 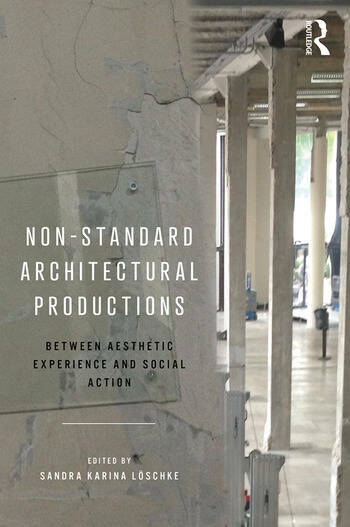 Featuring essays from an international range of authors, this book makes a vital contribution to our understanding of the wider conditions under which, and in relation to which, contemporary architecture is produced. Sandra Karina Löschke is Associate Professor and Director of the Architecture Design Research Group at the University of Sydney. She conducts research on architectural design and its relationship to technological, social and cultural developments. This includes research on the links between architectural design and technologies, reuse, aesthetics and participatory design. Her work as an architect has been exhibited at Venice Biennale and at exhibitions in Singapore, Bangkok, Kuala Lumpur, and Sydney. She is editor of Materiality and Architecture (Routledge, 2016).